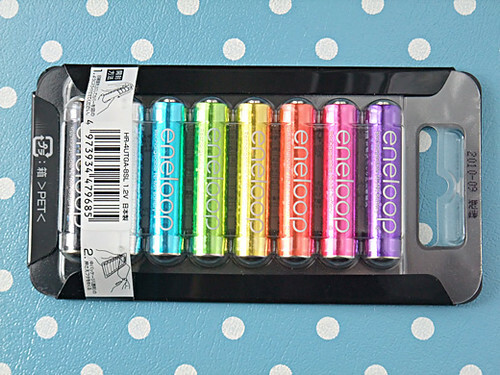 I got colorful eneloop palette… eneloop is the most famous and stylish rechargeable battery brand from Sanyo. 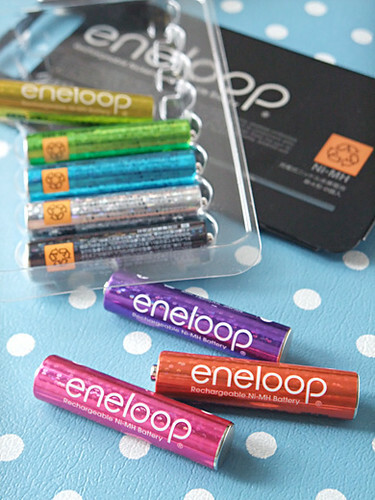 This named eneloop tones glitter. 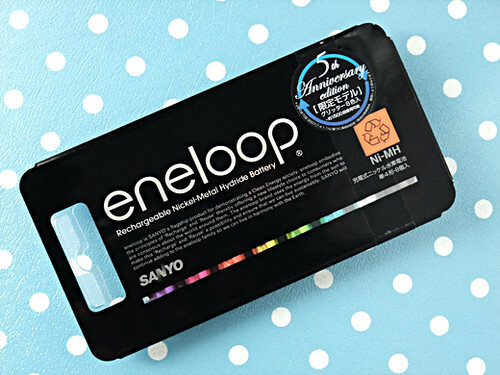 The pack is especially made for eneloop 5th anniversary, it was last year. I couldn’t decide to get this for a while, but when Sanyo was acquired, I thought I should!